As we all know on Sunday we experienced one of the most horrific officiating displays during my 25 years as a supporter from Mr Clattenburg and his team. But I’m not about to bring that up again, we all know what we think about this and if you’re like me you are still hurting from this result. 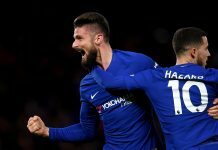 Wednesday night we are ready to move on, and we will have to do that in the shape of our youngsters and our fringe players as we get set to welcome Manchester United back to Stamford Bridge once again, on the annual Halloween evening in London. Manager Roberto Di Matteo is getting prepared to answer his door to Sir Alex Ferguson and his United team with the answer being ‘trick’ to their trick or treat question. Revenge is a dish best served cold, and Chelsea supporters all around the world are urging the team on to get one over on a United team that looked very poor on Sunday and didn’t deserve to win that match at all. 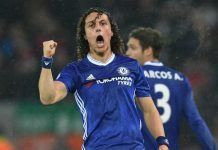 Chelsea bossed that game on Sunday, even with nine men at times, and they showed real grit and passion that is expected to be re-iterated once again tomorrow evening in the Capital One Cup. Di Matteo will be resting a number of key players including Juan Mata, Ashley Cole, Ramires and Eden Hazard. With that we will be without Branislav Ivanovic and Fernando Torres following their sending off’s on Sunday, John Terry who is suspended and Frank Lampard who is still recovering from his calf strain. So step up the fringe players and the youngsters in the shape of Ryan Bertrand, Cesar Azpilicueta, Oriol Romeu, Marko Marin, Victor Moses, Lucas Piazon and Daniel Sturridge. As always in this competition you will see both sides featuring a ‘weaker team’. Although you can argue, with Chelsea’s bench being as strong as it is, there is no such thing as a weaker team in this squad. Whoever we start with, it is evident that the starting eleven will want to do everything physically possible to avenge the un-just 3-2 defeat from the league match. Ferguson is also expected to line up with a weaker option with the likes of Scholes, Welbeck, Anderson, Fletcher, Powell and Wooton all in line for a starting place. Marin is a huge talent and is still very much unknown amongst rival supporters having been injured during the biggest part of the season so far. He is almost like Chelsea’s trump card, although I’m very sure he will not be under estimated by United. With Chelsea most likely resting Mata, it will be Marin who they will be looking at the provide the flair and creativity. This particular German will be more than up for the task and will use the weight on his shoulders to transform into a very dangerous secret weapon for the Blues.